There are currently 44 homes for sale in Crooked Creek as well as at least one additional home for sale by owner. Four of these are under contract. One of the under contract homes is in The Enclave. Four more of the active homes are in The Enclave. That leaves Crooked Creek proper with 36 active listings and 3 under contract or 1 in 12. A strong market (one that is good for sellers) would have 1 in 3 or 1 in 4 homes under contract at the high point of the selling season. In the last 3 months there have been 7 sales for an average sales rate of 2.33 per month. This makes the absorption rate in Crooked Creek 15.5 which means that there is 15.5 months of inventory if homes continue to sell at the current pace of sales AND if no additional homes enter the market during those 15.5 months. This is extremely high. It is so high in fact that it will not be possible for homes to maintain their current values. There is nothing to keep prices stable so we can expect at least another 5% drop in home values in Crooked Creek before next summer and it may be closer to 10% before it is all said and done and prices level off. All of the work in progress with the new facilities will do nothing to increase values and since it is not going to be finished this summer, it will be of no help reducing the inventory levels now as it cannot help to attract potential buyers so moving into spring of 2010 there is no tangible reason to see home values stabilize or increase. Furthermore, the costs associated with the facilities make it more expensive than comparable neighborhoods which ultimately will hurt rather than help resale homes in Crooked Creek. When compared with the same price point as homes for sale in the zip code, homes for sale in Crooked Creek underperform. There are 308 homes for sale in 30004 in the same price range as that of Crooked Creek. There are 38 homes under contract. That means 1 and 8 homes are under contract compared with 1 in 12 for Crooked Creek. In the last 3 months, 73 homes have sold. That is an average of 24.3 homes per month. The supply of homes is 12.7 months. All of which is better than what is happening within Crooked Creek. 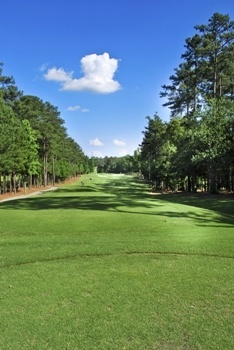 Although Crooked Creek may offer a better value than many of the other golf/country club neighborhoods in North Atlanta Country Club Corridor, buyers are not finding the additional amenities offered compared to other neighborhoods – (many of which have newer homes) – worth the price and the statistics bear that out. Of the 12 homes that are currently under contract in 30004 between $400,000 and $500,000, none are in Crooked Creek. Of the 26 homes that have sold in the last 3 months at that price point, 2 are in Crooked Creek. With 81 active listings and 12 under contract at this price point, the ratio of active to pending homes is 1 in 6.75 – again, none in Crooked Creek. You have some good insight into this market. My first impression was from the photo (they always help blog posts in my opinion). I would like to be there playing a round! It sounds like the market there is struggling. I wondered what the price range of homes is there, and if the key factor, other than the economy, is the lack of amenities that newer neighborhoods offer. You know what they say. Fortune favors the brave. However, sometimes the best investment is no investment at all. Ryan your insight on the market is flawless; I'm impressed. Like you stated above, one year shall tell the tails about the home values with the golf course renovations. Impressive breakdown on a community that should hopefully see some positive impact with the $4,000,000 renovation. As Jim said the picture says a thousand words. Lets hit a tee time in the near future when I can make it down to Atlanta. I lived in Albany Georgia for 3 years a while back and really miss the weather.